Remember that mini pocket sketchbook I blogged about recently? I’m really enjoying it. You’d think a 5″ x 4″ spread is too small to draw wide open scenes, but they’re doable. 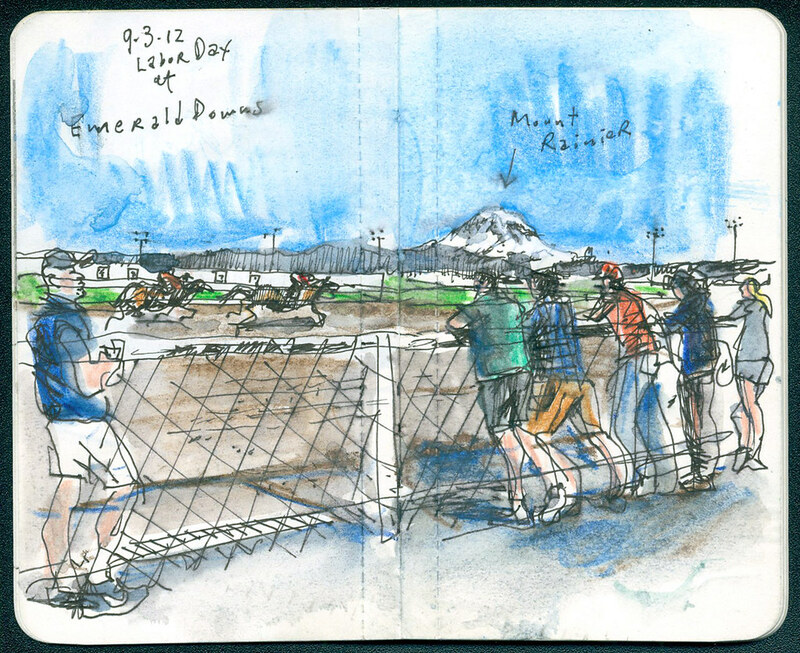 Look, I even fit Mount Rainier here while I watched the horse races at Emerald Downs on Labor Day.